Hello all!! Hope your July is going well( ´ ▽ ` ). Today's post isn't about kansai (per se), but I think it applies to many readers anyway. 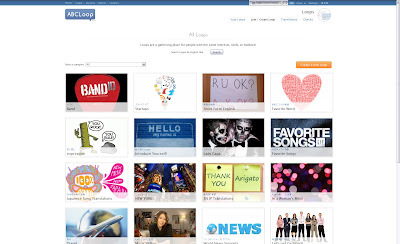 Please welcome ABC LOOP!! 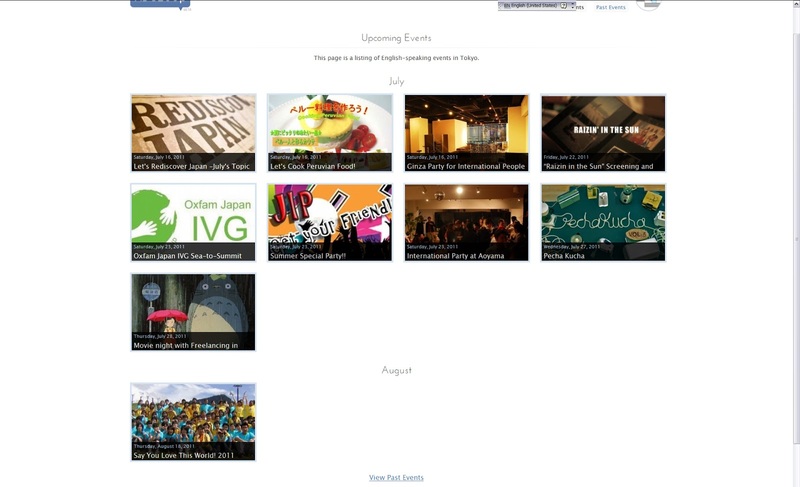 As you can see from Exhibit A (top), the site design is quite simple, which I really like! You can easily jump to various pages on the site with minimal load time, which is perfect for conversing (and using on smartphones! yay(°▽、°）don't worry, an app will be out eventually). This screenshot is taken from the main page. It'll show you the recently updated threads from loopers you're following (you can also set it to look updates from all loopers or just your own), you current point tally, popular threads, loops that need translating, and popular loops. Loops and Loops for days! Now, I should probably explain what a Loop is because this is what ABC LOOP is all about! 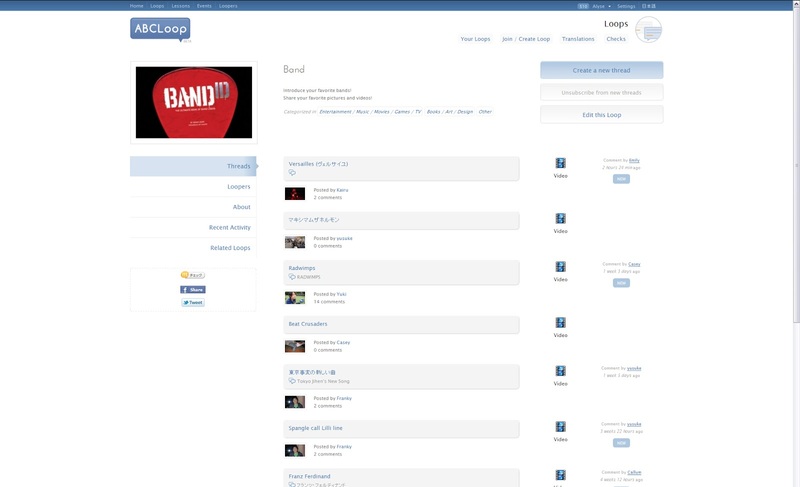 In the simplest of terms, a loop is a group within the site that caters to a specific interest. You're free to make Loops, and joining them are as easy as updating your facebook status (which it probably why I've joined so many (=´Д`=)). Once you're part of a Loop, you can start making threads and commenting on threads or translating threads and comments within that loop. Loops with the newest threads are on the first page, so if the group becomes inactive, it may fall to the wayside. Make sure to keep your loop active...! (And that's me, the kettle, calling the pot blackヽ(；´Д｀)ノ). 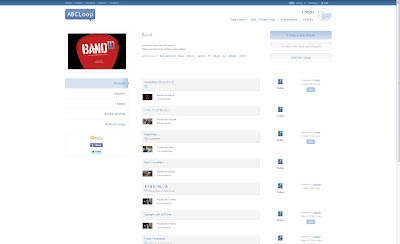 Once you've joined the loop, you're ready to start interacting with other Loopers (members)! 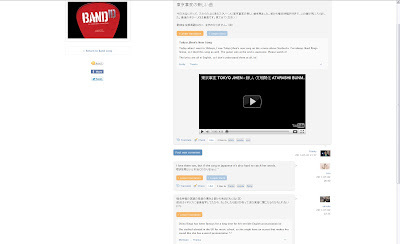 You can jump right into a thread with a new comment of your own, or by translating a comment within the thread. As a Looper, you are free to translate any post or comment you like, which will then be up for checking by other loopers. You can tell from my low points, I haven't been doing much translating on my own, but I really like reading the translations loopers have done of comments. And there's even a thank you button at the bottom so you can thank loopers for their translations. How sweet (●´－｀●)! Here's an example of a thread about Tokyo Jihen. As you can see from the comments, the atmosphere isn't super serious. It's not about translating perfectly, or commenting in Japanese or English perfectly. It's more about just communicating about your interests and getting a little help with your studies along the way. ABC LOOP also offers more than just conversation. Perhaps you're working on your English As a Second Language certificate, and you've come up with this awesome-tastic lesson plan that you think could well change the way people learn English. Well, what better way to debut this lesson than through ABC LOOP's Lesson page. 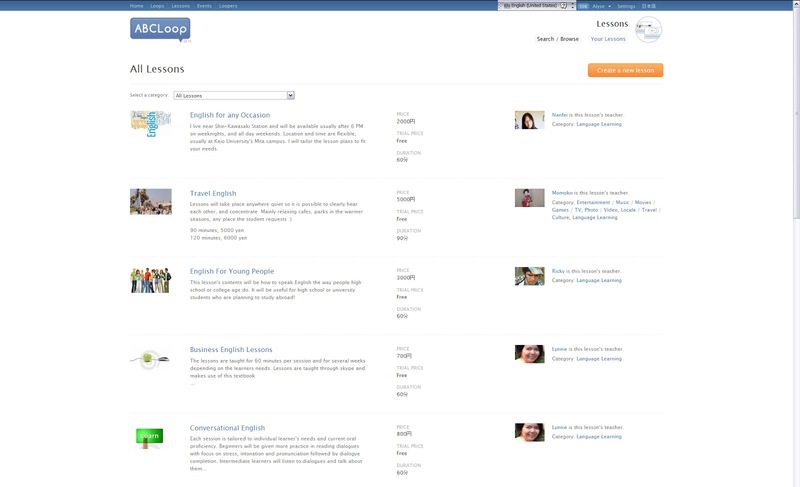 From here, loopers can create English lessons to sell to other loopers. These lessons can be just for learning English, or learning a specific skill in English. 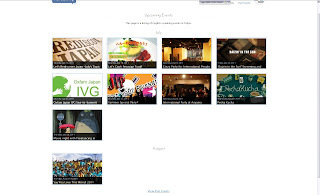 At the moment, it is free to create lessons and free for students to sign up. Also, all fees are paid to the teacher directly. 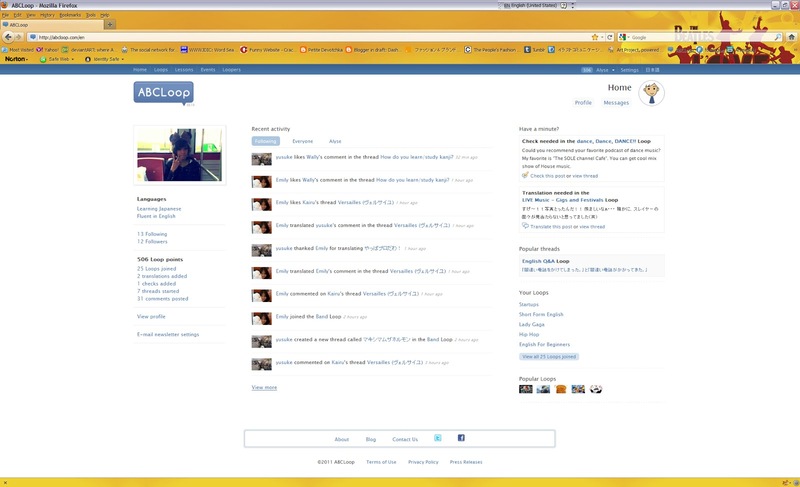 I have to admit, I've been extremely satisfied with my time on the site. The members are amiable, and it's a great atmosphere for learning and meeting like-minded individuals. There's a Loop for everyone (entrepreneurs and Disney fans are welcome and often found in the same loops(°▽、°）) so I think everyone can find something and someone to talk to, in English or Japanese. Anyone with an interest in cultural/language exchange, definitely check this place out. You don't even have to make a name because you can use your facebook name. See?? You're already half-way there..!